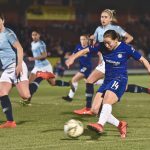 Last weekend saw an interesting round of games in the SSE Women’s FA Cup second round and I wanted to talk about my highlights. Sadly I’m starting with a bit of a moan. The SSE FA Cup twitter account posted one tweet over the weekend, one tweet. For me, that’s disappointing and disrespectful to those working so hard at the lower levels of women’s football and serves an example of why Thom and I wanted to start Since 71. 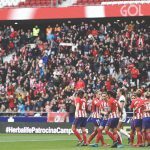 We appreciate that there is life outside of the Lionesses, WSL and Man United Women. There are hundreds of great clubs and thousands of top players and volunteers that also deserve the exposure and we wanted to give them a voice to do just that. 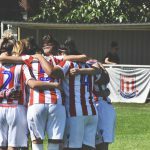 Moving on to the reason that we are here, the first match I wanted to talk about was Stoke City’s win over Chester-Le-Street Town. This was of particular interest to me because it marked the return from injury of a close friend of Since 71, Faye McCoy. 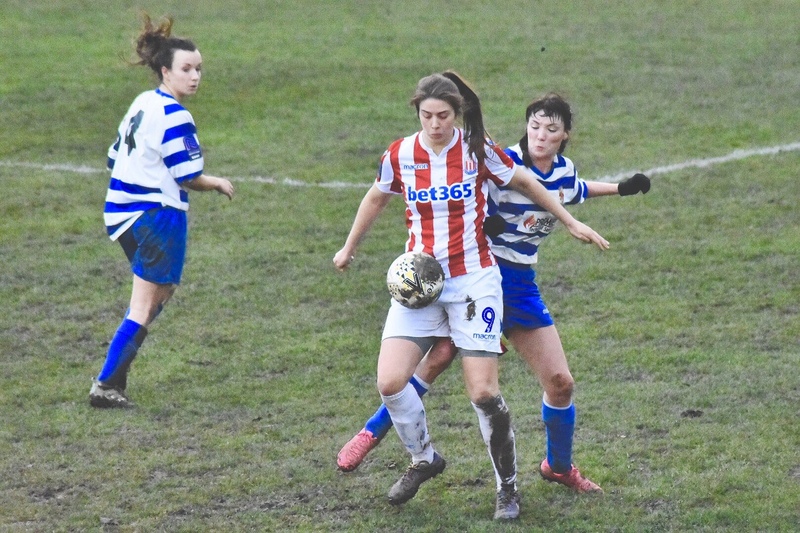 The Stoke City midfielder has been out for some time with injury and she marked her return to action with a goal. 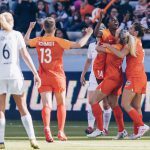 Prior to that, they weren’t having things all their own way and it wasn’t until the 73rd minute that they took the lead thanks to Tash Tezgel. 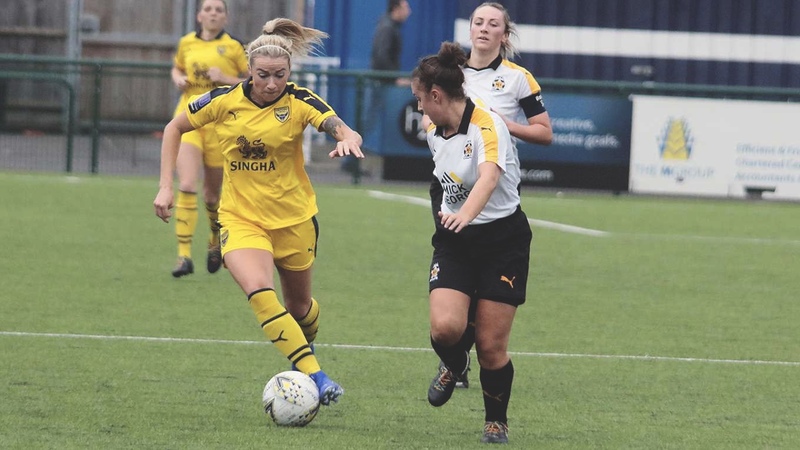 Their opponents in the next round are Derby County, they dispatched Guiseley Vixens by the same scoreline thanks to goals from Nikki Ledguster and Stephanie Smith. The biggest win of the round came when Huddersfield Town smashed the National League North’s bottom side Bradford City 7-1. This included a hat-trick for Kate Mallin. This result will have been a disappointment to Bradford who will have been hoping to gain some confidence and be a welcome distraction from the league. Huddersfield are currently second in the table, behind Blackburn Rovers so they were always up against it. There were also plenty of goals in the game between Keynsham Town and C&K Basildon. Some may argue that looking at the league positions that it wasn’t too much of an upset with Keynsham so far being undefeated in the league and a positive goal difference of 48. Laura Williams opened the scoring in the 16th minute. Top scorer Kerry Bartlett added a first-half hat-trick, along with a fourth in the second half. Rounding off the victory were Justine Radburn, Christina Vega Leandro and Ellis Hillman. 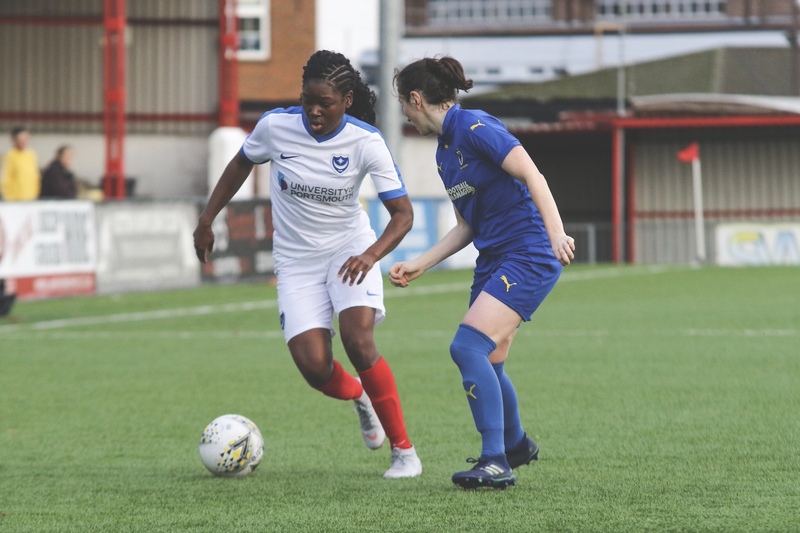 There was another giant-killing by AFC Wimbledon when they overcame National League South’s Portsmouth FC Women. This was a big disappointment for Jay Sadler’s side. Pompey have been playing well in the league despite not getting the results that their endeavour deserved. This result will be a blow to the blues and if I’m honest it’s a blow to me. 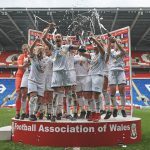 This is my hometown club and I was hoping that I’d get to see them take part in a little cup run and maybe bring a team from the WSL down to the PMC stadium up the road from my house. Hopefully, Pompey can pick up a positive result from this weekend’s home game with Oxford United Ladies. 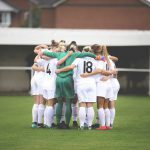 Fylde Ladies is a club close to my heart because they were one of the clubs who were so supportive of us from the very beginning. 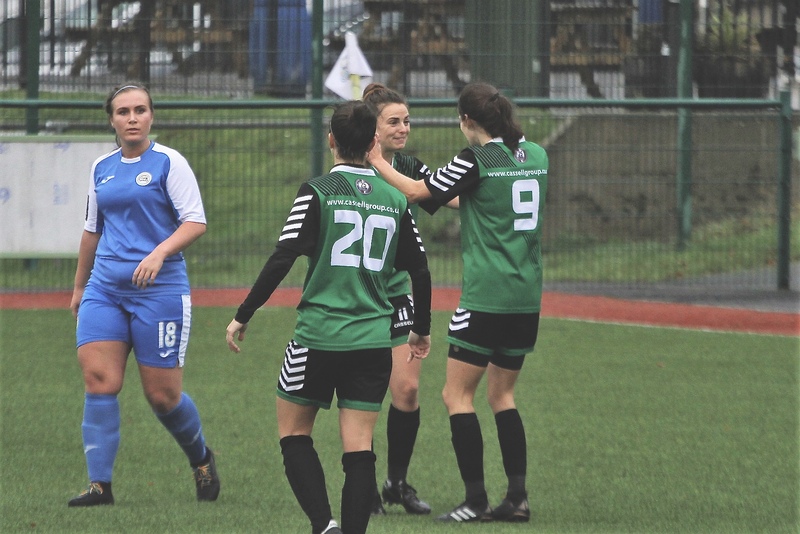 Club captain, Danielle Young kindly took the time to speak with me for one of my first Since 71 features. 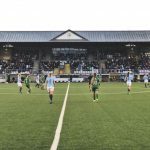 They progressed to the third round after a 3-1 against a Sunderland side who currently sit two spaces above them in third place of the National League north. It was Danielle who scored the first goal with a rocket of a free kick. 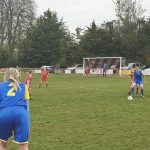 This round was certainly one where home advantage paid off as Leeds United, Loughborough, Middlesbrough, MK Dons, Cardiff City, Coventry United, Billericay Town and Oxford United all progressed. 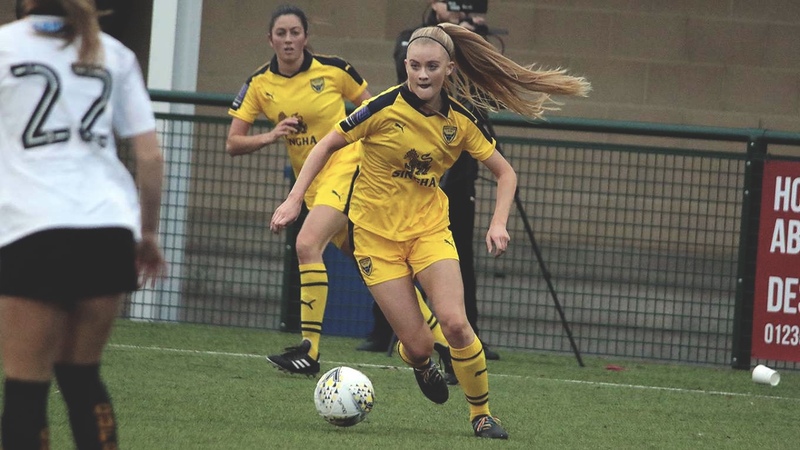 The varsity game saw debutant Evie Gane scoring on her return to the club from Aston Villa Ladies. I know that our Aston Villa Ladies correspondent Adam was gutted to see her leave Villa. To round up the remaining games, Blackburn Rovers again dominated as they came out comfortable 4-0 winners against Wolverhampton Wanderers. Gemma Donnelly’s side could teach Pep’s Manchester City a thing or two about how to dominate their league. 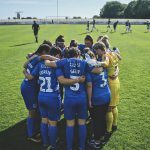 This side has to be granted promotion to the FAWCL next season they are simply far too good for the FAWNL. Hat-trick hero Ashleigh Edwards helped Nottingham Forest secure their place in the third round of the FA Cup on Sunday afternoon as The Reds twice came from behind to beat Sheffield FC 3-2. And last but not least Hull City Ladies eased through with a 5-0 win against Long Eaton United.